‘Tis the season, indeed. As we rush towards the Christmas holiday season and reflect on the year that’s been, the Aviser team are proud to look back upon many a mortgage settled, many an investment property ticked-off our clients’ ‘to-do’ lists, and many a refinance undertaken. In all it’s been a year worth celebrating with a treats to yourself – or others! 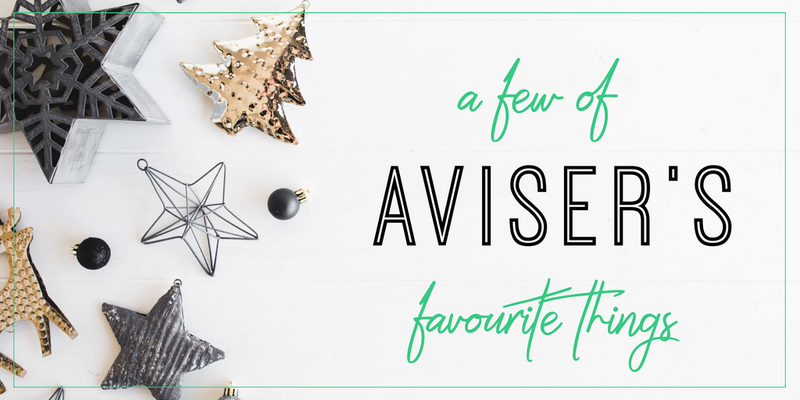 In our final blog for 2016, Aviser present our lust-list ‘A Few of our Favourite Things’. It’s a curated selection of beautiful gifts offered by members of the Melbourne business community who we’re proud to number amongst. Be inspired, be generous and don’t forget to give to Aviser’s favourite charity, too! Greetings of the season, and to all a Happy New Year. Beautiful and luxurious, opulent flowers are an ideal Christmas gift for the host who has it all. 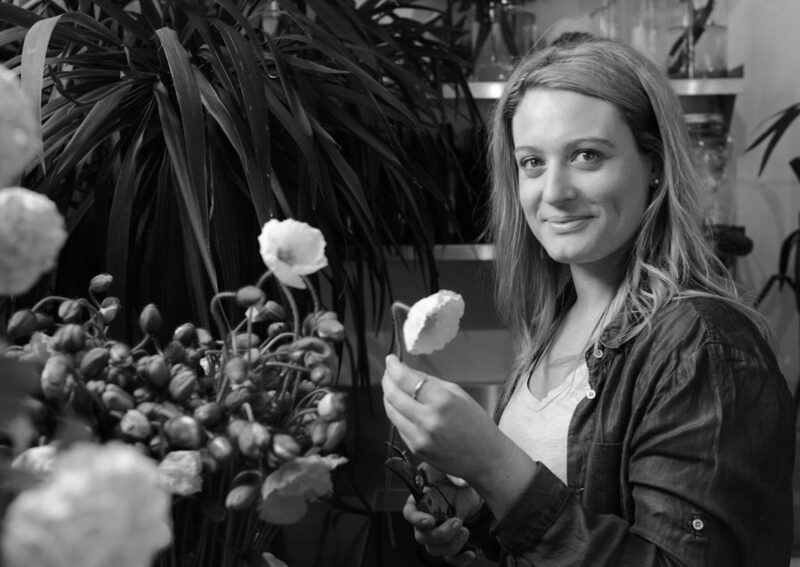 We spoke with Jess of Ivy & Eve Flowers, who offered us some ideas on fresh holiday gifting. What would you recommend as the ultimate gift-to-self from the Ivy & Eve’s seasonal offerings? 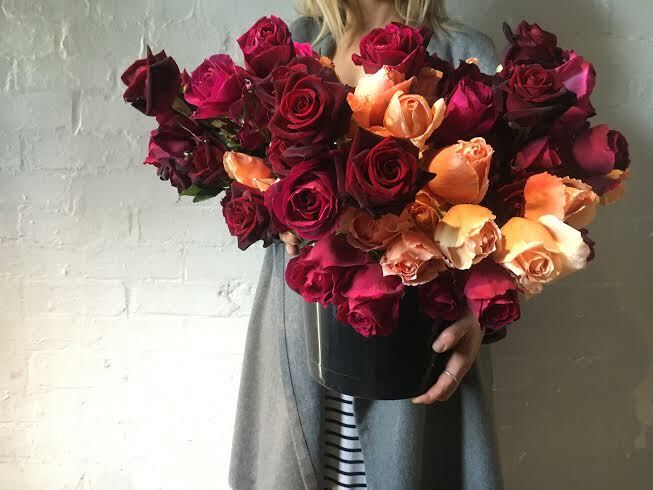 We recommend signing up for our flower subscription, which is a lush weekly delivery of fresh seasonal flowers to your home. It’s very special to enjoy a beautiful delivery of blooms each week. Our subscriptions start at $30 per week, with a minimum subscription of four weeks. It is so lovely to return home to fresh flowers this week – not to mention therapeutic! It’s Kris Kringle time – what would you suggest as a small gift for a friend or relative? The perfect Kris Kringle gift could include a mini potted cactus plant, a locally made candle, or even a gift certificate to Ivy & Eve Flowers! 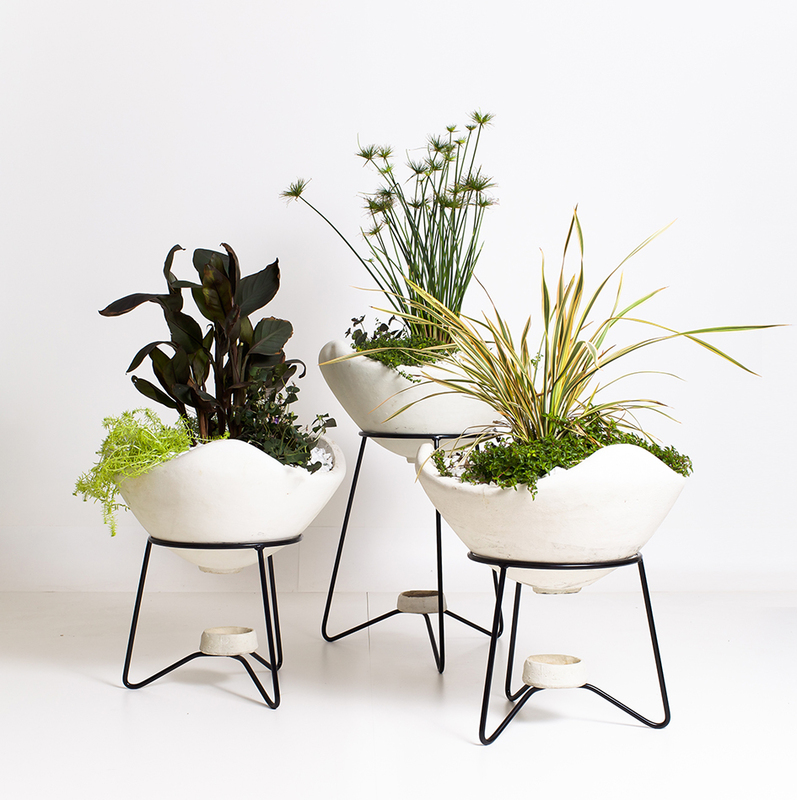 What is floristry trending towards? The floristry trend for weddings in 2017 are gold accents, incorporated into an event with gold cutlery, signage, or vases and large metal structures which flowers are arranged around. Suspended floral installations which incorporate masses of balloons with flowers are popular for events such as parties and baby showers. Marcus and Daniella Balscheit epitomise bespoke Melbourne style with Surround Interiors, a business famous for custom manufactured modernist furniture and dramatic lighting. We asked the chic duo to select items from their extensive library of interiors for our ‘favourites’ list this year. What would you recommend as the ultimate gift-to-self from the current Surround interiors offerings? Why? 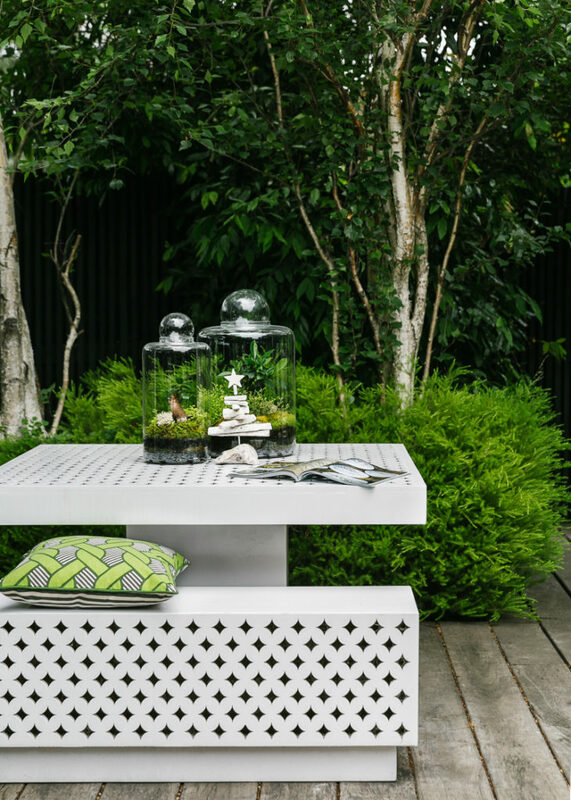 Our Australian custom-made laser cut table with matching bench is a luxury offering, as are our outdoor bar table and stools. Entering the summer period, the gift of a cool environment can’t be underestimated. As such, Surround Interiors are offering a 15% discount on all curtain orders placed before the end of January – they’ll prevent summer sun filtering through the windows and fading your furnishings. It’s Kris Kringle time – what would you suggest as a small gift for a friend or relative which won’t break the bank? 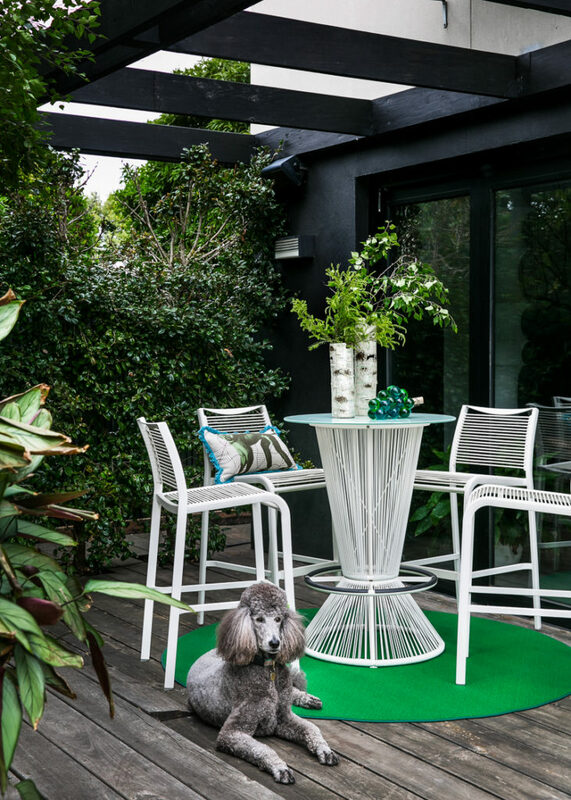 What will key interior design trends be for Melbourne in 2017? Key interior design trends for 2017 are darker wood tones in place of blonde, coupled with interior planting and foliage in a wide variety of planter styles. There’s also a definite move towards an injection of individuality within the home, exploring higher degrees of dynamism in design, new approaches and strong forms. Christmas is – above all – a time to support your local community by donating generous. Aviser Finance love giving to the Sacred Heart Mission, who work to combat homelessness in Melbourne. Each day of the year, the Sacred Heart Mission provide hundreds of people with access to food, shelter and care. Since having begun their mission in 1982, this important not-for-profit organisation have supported communities in St Kilda and Melbourne south-east, extending out to Reservoir and Thomastown. This Christmas, give from your heart. What pleasure in hard work without reward? Often after we’ve achieved a goal or hit a mile-stone, we forget to reward ourselves. If 2016 was a year in which you hit some high notes worth celebrating, treat yourself to something extraordinary you’ve been hankering after. Whether it’s a car, a rather fancy handbag, a holiday to far-flung climes or even a holiday house – Aviser will be on hand to help resource your well-earned indulgence!